In business speak they call it a pivot, a change of direction or focus for the business to keep it alive — I’m doing that in my personal life as well now. I spent seven very enjoyable years in my old job as a boatman, but after Eden, leaving early, hiding in Greece and eventual return to Cambridge my heart just wasn’t in it at all. Silly really because having a job gives you safety and security but although I needed both I didn’t want either. I wanted something different than the daily meetings for coffee and the brain-numbing gossip that makes its way up and down the river. In fact, Cambridge can be a very toxic place for people who work there, with some very nasty people who stick the knife in your back but smile and shake your hand when you turn around. In fact, this was the main reason I didn’t want to go back. Eden hadn’t been shown when I made this decision and I already knew that they were calling me a quitter with the classic ‘I knew he wouldn’t be able to do it’ line. Just the thought of having to explain myself reminded me of the worst times in Eden, so better off rid as far as I was concerned. So what to do next? I have a home on the river so no major concerns there, but I do need to work for a living and that is an unfortunate fact (unless you have a trust fund or wealthy parents of which I have neither) so I decided to retrain and try something new(ish). I’ve been sitting on hundreds of hours of footage from the Amazon trip and it was time to do something with it. I had no editing skills at all so I sat and tried to learn, weeks later I had cobbled together the footage into a workable arrangement but it was nowhere near good enough. It’s fair to say the idea of working in the industry had crossed my mind with my involvement in Eden, so now maybe it was time to try to expand my skills. 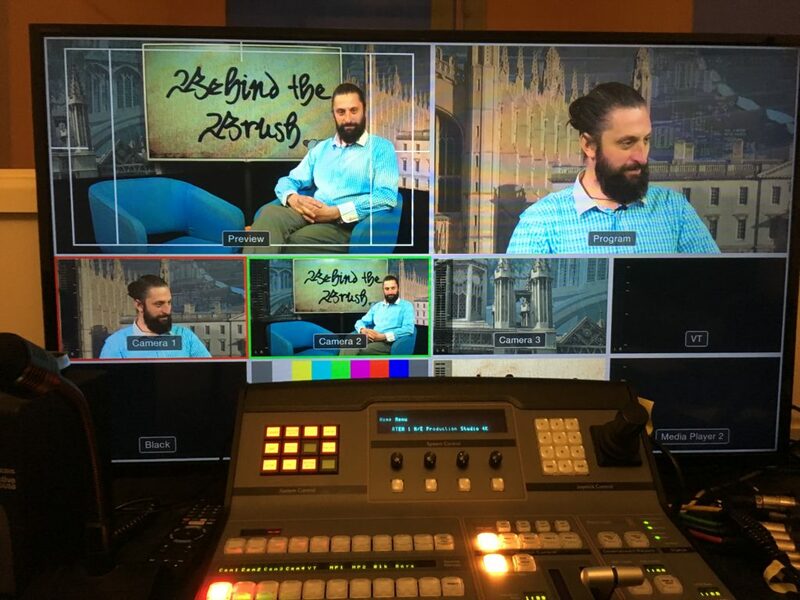 I found a local production company (Cambridge TV School) that also ran single-term courses in practical media skills, all hands on producing programmes for broadcast. I contacted them and enrolled. Day one: Getting to know one of the cameras that we would be using on the course and then after lunch we were off to a shoot. Wow. That’s felt a bit quick and my nerves were setting in, the people we were interviewing didn’t know we were students and we had supervisors and people to oversee us while we worked but this was it! Day one and already creating content to be broadcast locally, marvellous. By the end of the course we had covered most areas to a reasonable degree, and we were also allowed to develop and create our own programmes. Mine focused on life aboard houseboats along the river Cam, and the impending council evictions on one area. The editing skills I learned showed me that I still have a long way to go with my Amazon footage, but I also got a taste of life in front of the camera as well presenting a number of different shows, and I love it. I’m not sure that presenting a programme on quilting will make me the next household name but it will certainly give me more experience in an area that can be very fickle. After Eden there has been a lot of talk from a number of different people about further shows, programmes, and adventures — none of which has come to fruition yet, but I’m picking up small jobs editing and working on shoots locally and I’m hoping that eventually I might even make a living out of it, who knows. Good on you. Whilst I have a steady job and career in my chosen industry I have always wondered what if – and therefore took up a course in photography, and whilst I love the course and photography – I am also enjoying learning more than I ever did when I was meant to be doing it at school many moons ago!! Anton, great to hear you are doing well.